Over the last 4 years, San Antonio has come together to give nearly $15 million dollars to local nonprofits through the Big Give. Whether you care about the environment, arts, animal welfare or entrepreneurship, the Big Give is a great opportunity to show the community what matters to you! Thanks to you, the 2018 Big Give was a major success! On March 22, all came together as a region and raised millions to feed families, educate children, put on shows, rescue animals, and make our region a better place to live, work, and play! We can’t wait to do it again next year and we hope you’ll join in making 2019’s Big Give a $10 million success! Whether you missed out on the giving fun or are just feeling extra generous, even though the BIG day is officially over, you can still scratch that Big Give itch and search and use our platform to find an agency you love and get involved. The New Heights initiative is an arts-in-education program, conceived by the Institute of Classical Architecture & Art (ICAA), to expose middle and high school students to the classical architecture all around them in cities and neighborhoods across America. Exposing young people to architecture inspires creativity and strategic thinking, invites them to reflect on and learn from the past, and promotes an understanding of human culture, which fosters a more global worldview. You can support The New Heights Initiative through The Big Give. The program consists of in-class lectures and drawing classes taught by ICAA educators and architects on architecture, history, place-making, building practices, plaster molding, stone carving, etc. The program leads students through city and neighborhood architectural walking tours to experience local architecture and field trips. New Heights will also provide a valuable introduction to the many career opportunities in the fields of architecture and the allied arts. The Institute of Classical Architecture & Art (ICAA) is a nonprofit membership organization committed to promoting and preserving the practice, understanding, and appreciation of classical design. To do so, the ICAA offers a broad range of educational programs. These include intensives for architecture and design students, introductory programs for middle school students, lectures and walking tours for the public, continuing education courses for professionals and enthusiasts, travel programs to visit classical masterpieces, the publishing of original and reprinted books, and an annual journal entitled the Classicist. Through the annual Arthur Ross Awards, as well as other national and regional award programs, the ICAA also honors contemporary leaders of classical design and the related fields. The ICAA is a national organization, with 15 chapters across the country and headquarters in New York City. Each chapter organizes its own local programming to reflect the unique members and architectural traditions in its region. is sponsoring Keynote with Nathan Turner. Location: Back Row Home: 8570 Katy Fwy, Suite #111. Please join us for this informative and interesting event. Nathan successfully merged his greatest passions - design, travel and food - into his eponymous shop. Located on Melrose Avenue in Los Angeles, Nathan’s store has become an expression of his years traveling, a faithful source for the country’s leading interior designers, as well as some of the most stylish individuals from coast to coast. An avid cook, Nathan equipped his past store on Almont with a full kitchen so that he could host intimate dinners and parties on site. Nathan’s parties, products, and designs have been featured in major national and regional publications including Architectural Digest, Domino, Vogue, Elle Decor, House Beautiful, Food & Wine, C Magazine, NY Times, & LA Times. Nathan is also special projects editor at Architectural Digest & contributing editor at C Magazine. 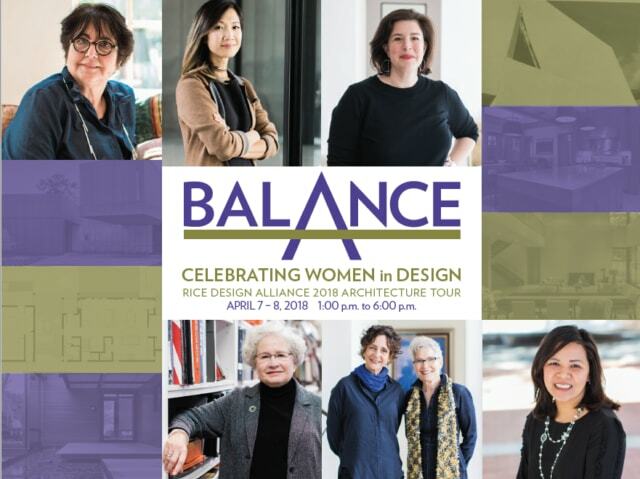 Texas Design Week is comprised of a series of Design + Art Talks by noted interior designers, architects, artists, product designers, and visionaries, with a full program of book signings, pop-up shops, salon talks and cocktail events. Texas Design Week launched in Houston, Spring of 2017. Texas Design Week Houston 2018 will host the first annual Designers at Home, 2-3 day home tour.